Our Communications team will keep you up to date with the latest news and developments at the EBU. You can read our press releases below or check out our social media feeds for more news. We can also provide information and intelligence on the role of public service media and the performance of our Members. EBU Members and journalists can contact us by email press@ebu.ch or by telephone on +41 22 717 2220. For enquiries about the Eurovision Song Contest, members of the press should call +41 22 717 2500 or email press@eurovision.tv. More info can be found on the eurovision.tv press page. For general enquiries, members of the public should call +41 22 717 2111 or email info@ebu.ch. Download official and high resolution photos of EBU management, our Geneva headquarters and transmission satellites on our photo platform, photos.ebu.ch. Always include the photo credit as per indicated in the download terms. For any other photo requests, please contact our Branding & Publications Manager. The EBU and Eurovision logos contribute to the image of the entire union. They must include all the letters of the wordmark and the tagline underneath - the two elements are inseparable. 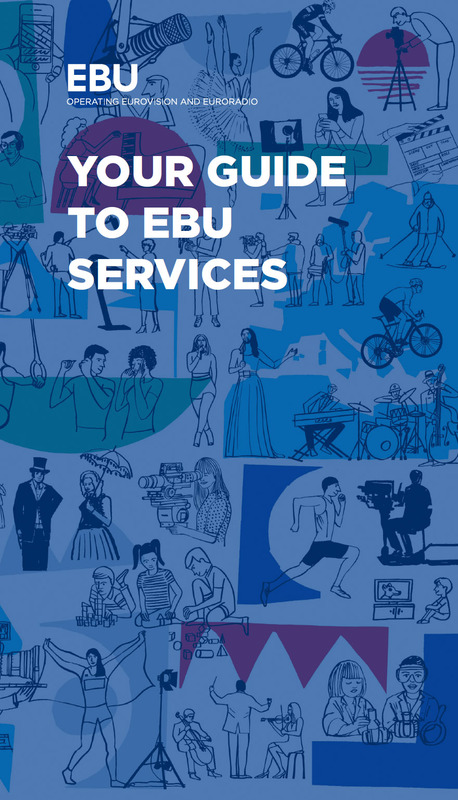 Any requests to use the EBU or Eurovision logo for digital or printed media are subject to validation by EBU Communications. For all questions regarding the use of our online or print logos, or for special photo requests, please contact our Branding & Publications Manager.